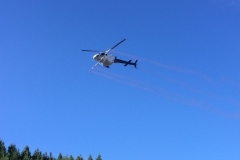 Helicopter Services (BOP) Limited has built a solid reputation over the last 30 years of efficiency, safety and experience and specialises in the sustainability of the New Zealand forestry industry – a member of the NZ Agricultural Aviation Association & fully certified under Growsafe and Spreadmark; meeting all NZ Civil Aviation Authority requirements. 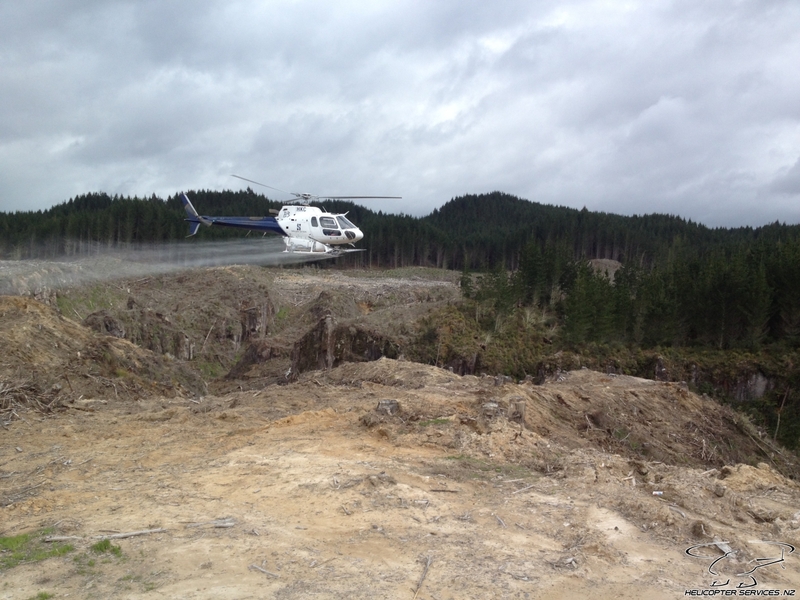 Helicopter Services (BOP) Limited is dedicated to supplying an economical, high quality, forestry & agricultural service. 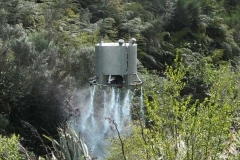 Whether it be chemical application through to fire fighting, we have developed, and currently use, the latest equipment, which enables us to cater to any of your requirements. 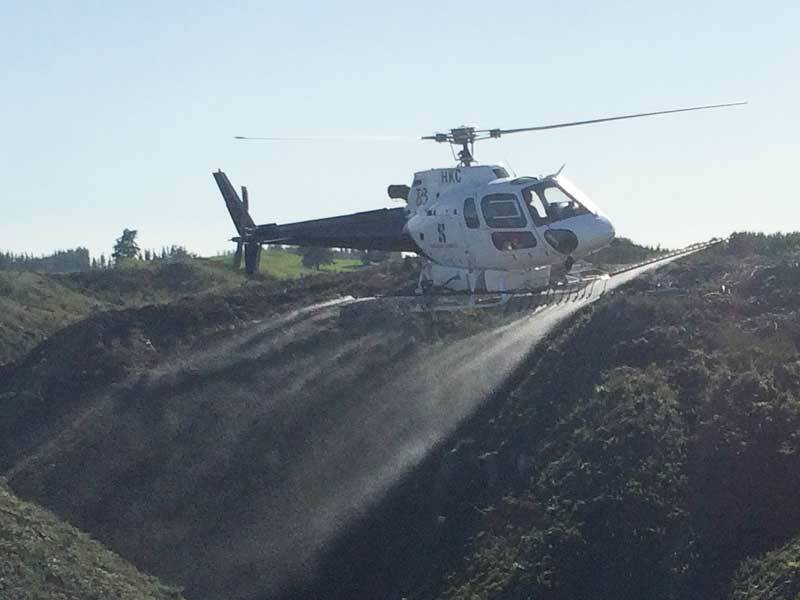 Longline spot spraying system allows HSBOP to perform confined area spot spraying operations. 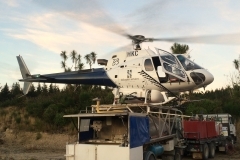 We operate both Tracmap and AgNav systems, which guarantee accurate chemical application and also enables us to import and export all application information. 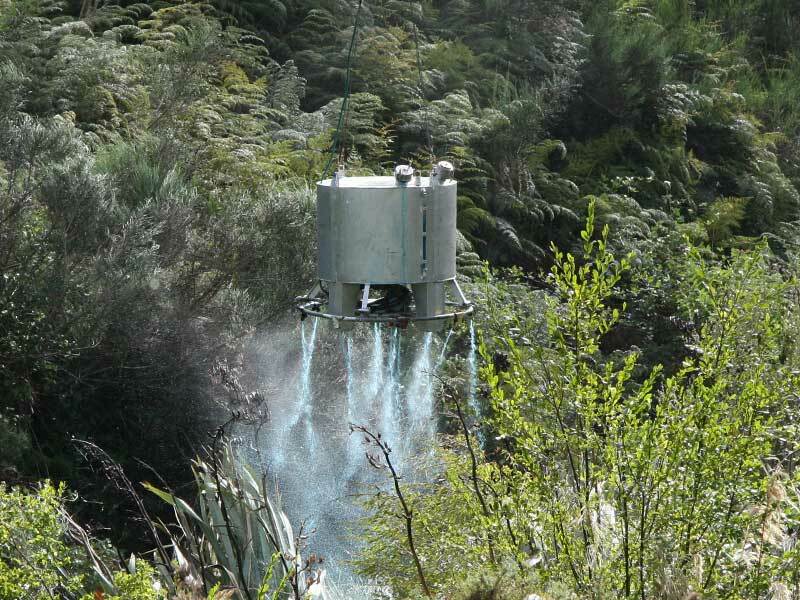 Buckets with a 1.2 tonne capacity. 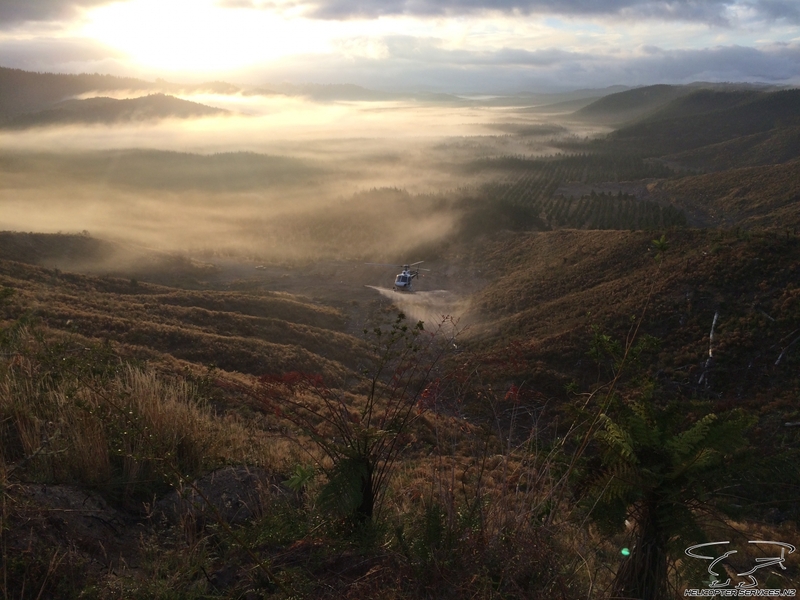 We have our own approved bulk chemical store based in Taupo, which allows us to store customer’s products until required. 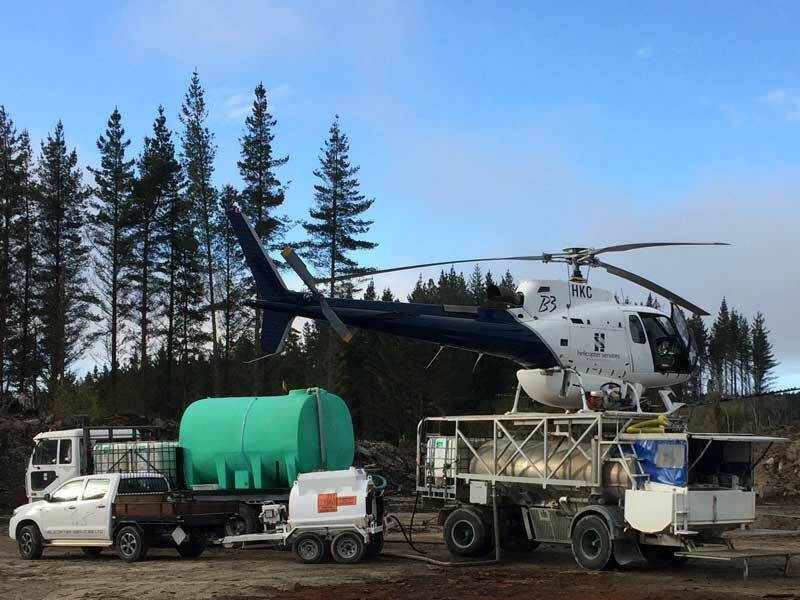 We operate a self-contained truck and trailer unit with helipad, which enables us to transport all chemical, water and fuel requirements for any particular operation. 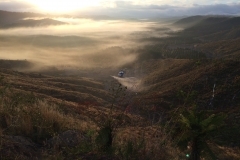 All aircraft and support vehicles are equipped with cell phone and radio equipment. 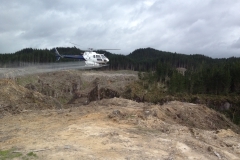 All ground crew have portable hand held radios and are in constant contact with the aircraft. 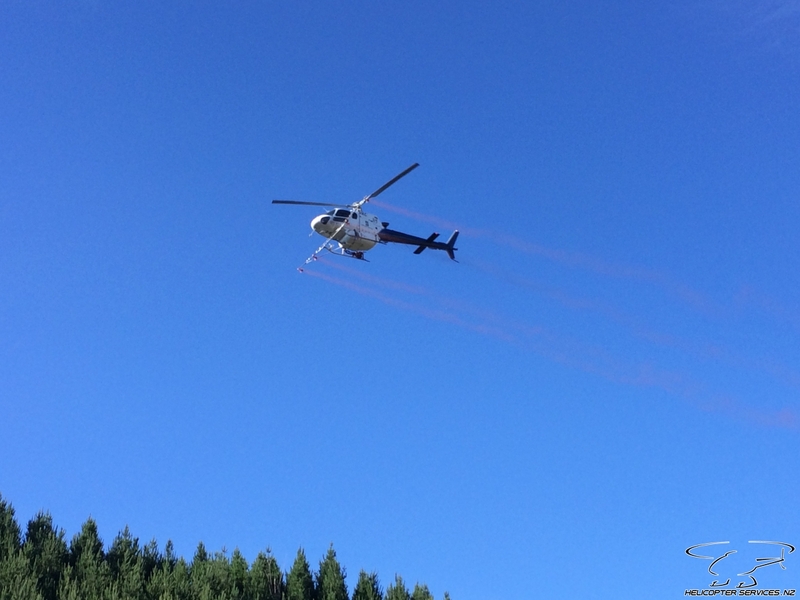 ZK-HKC using low-drift Aquaflow nozzles with our 1000 litre spray system. 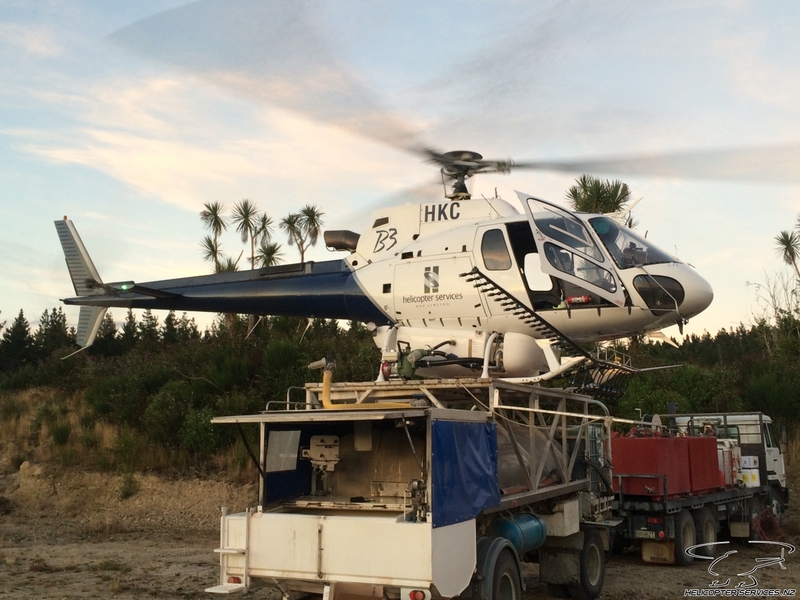 Helicopter Services operates a fleet of specialised self contained trucks and trailer units.